February is the month for Action! SEIU Local 085 has many events and actions going on during the month of February. 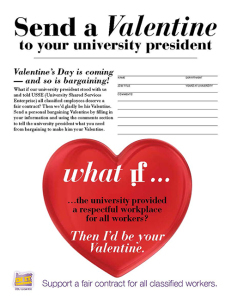 The first event and action is sending Valentine’s Day cards to President Coltrane in support of contract bargaining. 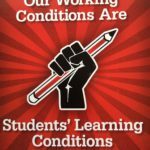 What if President Coltrane stood with us from day one and told USSE (University Shared Services Enterprise) that all classified employees deserve a fair contract, respectful treatment and a living wage? Then we’d be his valentine. You can email a bargaining valentine as an by clicking here. You can print out a valentine to personalize and return to your worksite CAT, steward or other union contact. You can get a paper copy from your work-site CAT. We’re in the process of distributing copies throughout our CAT network so if your CAT doesn’t have copies yet, she/he will soon. A small delegation accompanied by our Labor Choir will present the paper valentines to President Coltrane (and other administrators that may join him) on Feb.13! Please return all valentines by 2/12/15. You can also drop off valentines at the Local 085 meeting on February 11th and bake sale fundraiser at The Duck Store on February 12th. If you have questions or need to arrange pickup, call the SEIU Eugene Office (541-342-1055, Denise x306, Rolando x302). 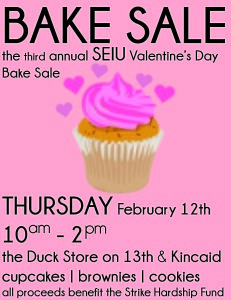 The second event is the 3rd Annual Valentine’s Day Bake Sale! The Strike Hardship Committee will be holding the bake sale on Thursday, February 12th from 10 AM – 2 PM in front of The Duck Store on 13th & Kincaid. Funds raised at this benefit will go to support members in case of a strike. For bakers, please avoid making items that include cream cheese, whipped cream, or custard. 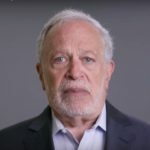 Can’t volunteer but want to participate? Swing by the day of the bake sale and buy an item! Are you gluten-free or on a diet? The Strike Hardship also accepts donations. The table will also be collecting Valentine’s Day cards to deliver to university President Scott Coltrane. Would you like to advertise the event in your office? You can download a sign by clicking on the image below.